Industrial interior design style embodies the spirit of the masculine man — metal and stone combined with rough-hewn wood, leather and functional style. 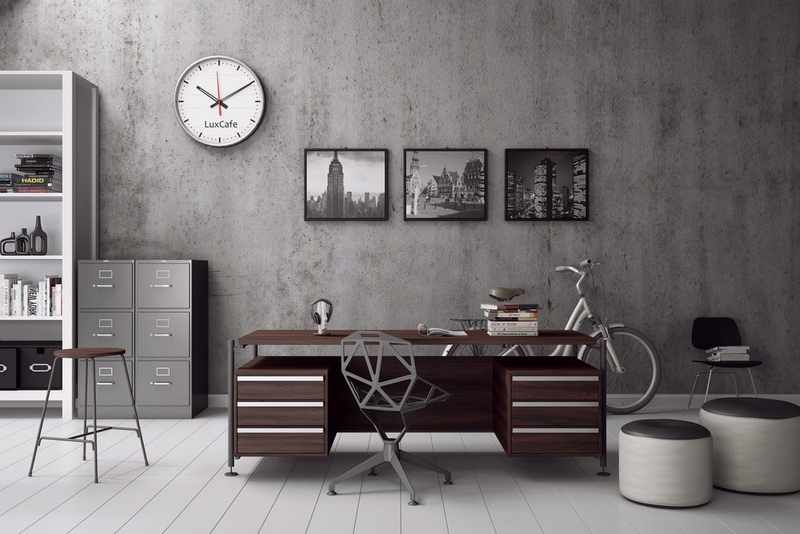 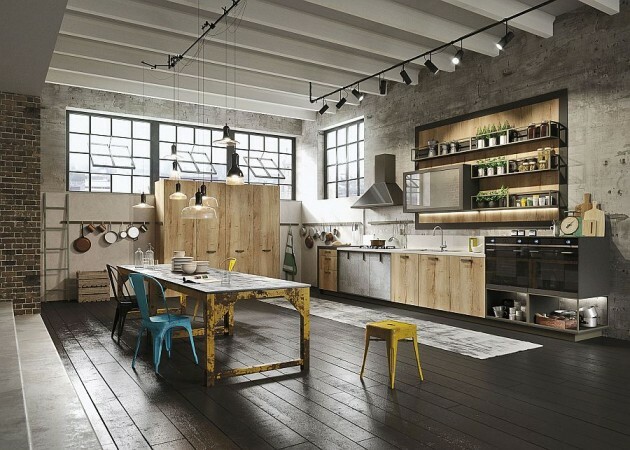 Industrial style is all about exposing the elements that are generally hidden in construction and showcasing them for their unique appeal. 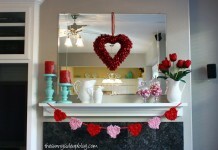 Sounds manly, yes? 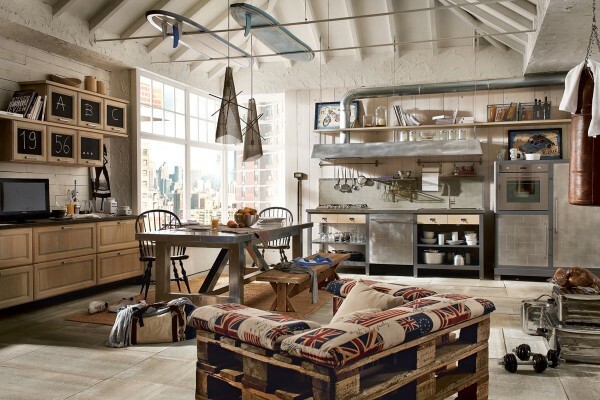 Vintage pieces, metal and leather combine with sleek surfaces for a decidedly masculine interior. 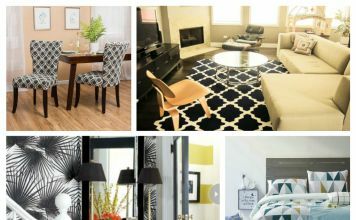 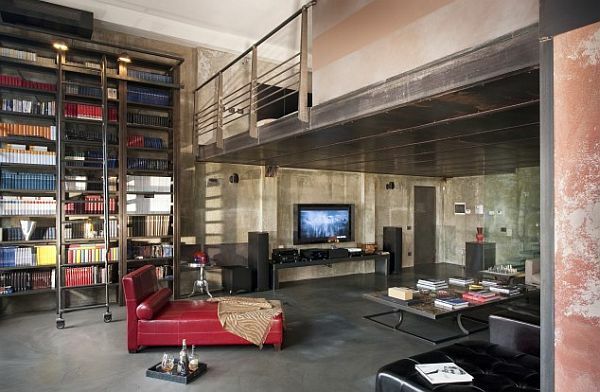 Highlighted here are interiors of masculine industrial style for the modern man. 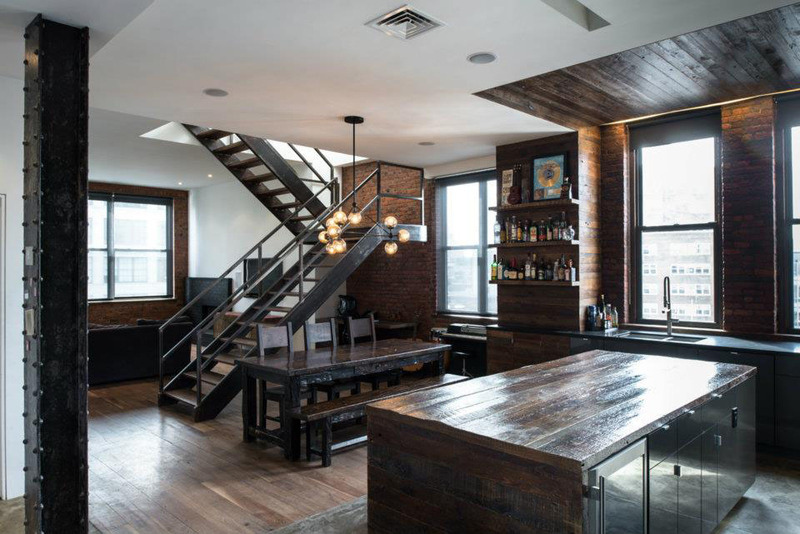 Lofts are the ultimate industrial style space. These structures offer the exposed vents, pipes and surfaces that are characteristic of industrial style. 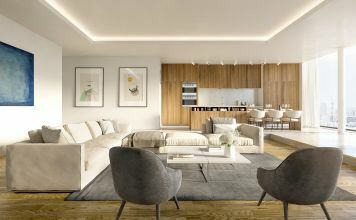 Embellished with leather seating, modern no-nonsense accent furniture and lighting that showcases bare bulbs, the masculine home is launched. 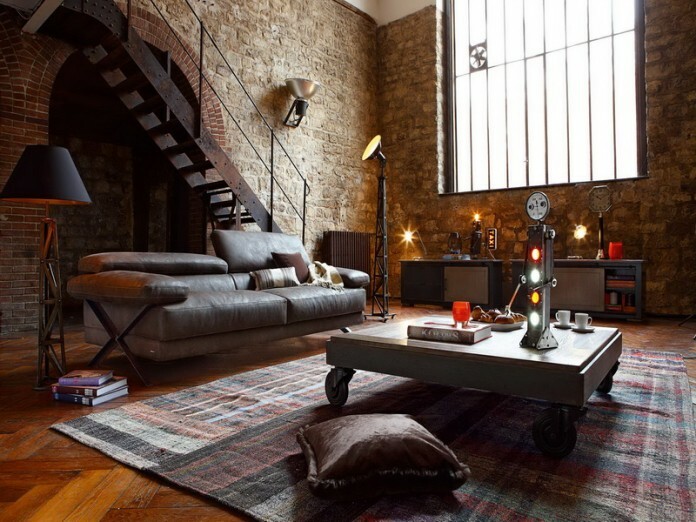 Metal, stone and exposed brick mix to present an interior that is very utilitarian in nature, but certainly not lacking in style. 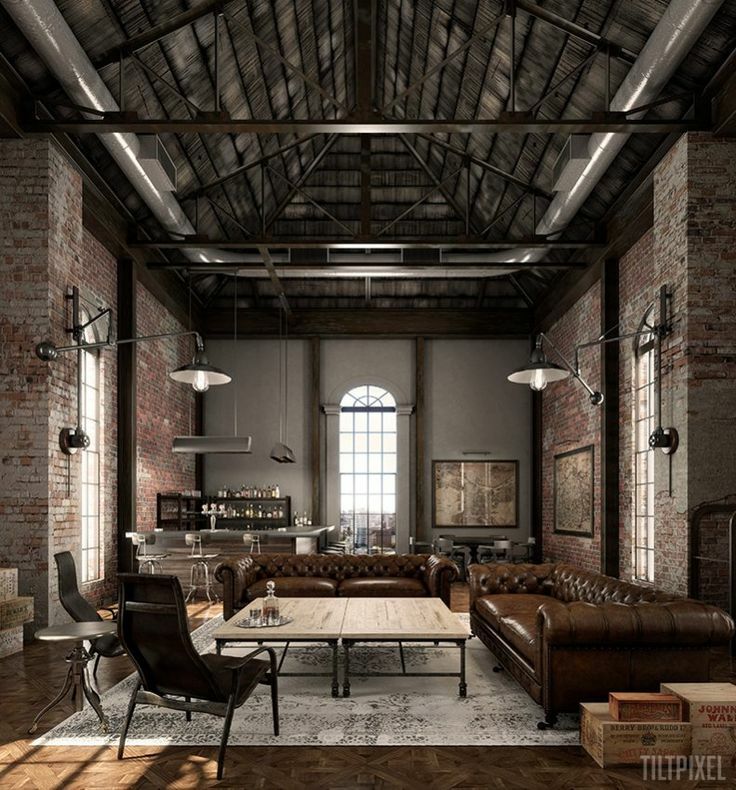 Showcasing architectural elements and enhancing them with metal and wood furnishings and accessories further carries the industrial theme toward a masculine aesthetic. 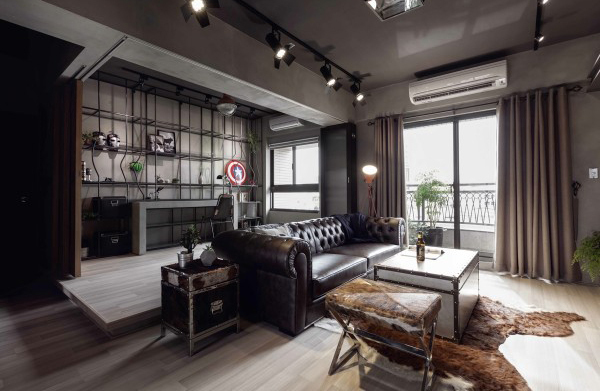 A classic leather Chesterfield sofa, metal trunks and animal skin rug in this cool gray space exemplifies a masculine design style. 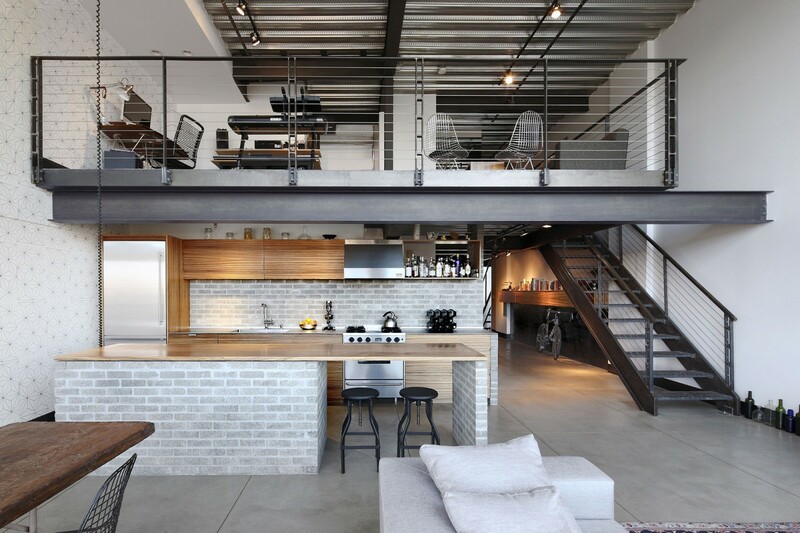 Concrete walls, wood floors, exposed ductwork and minimal furnishings give this space a very masculine vibe. 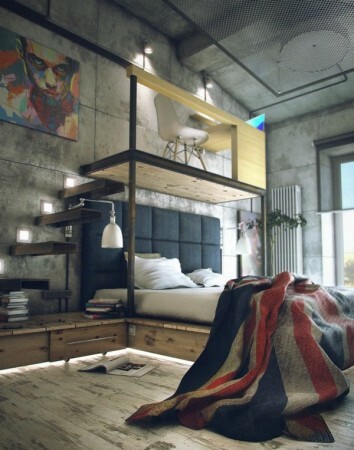 A very cool and modern bedroom with raised platform bed and mezzanine space makes a stylish spot for the hip young man. Leather is the perfect accompaniment to masculine industrial style. 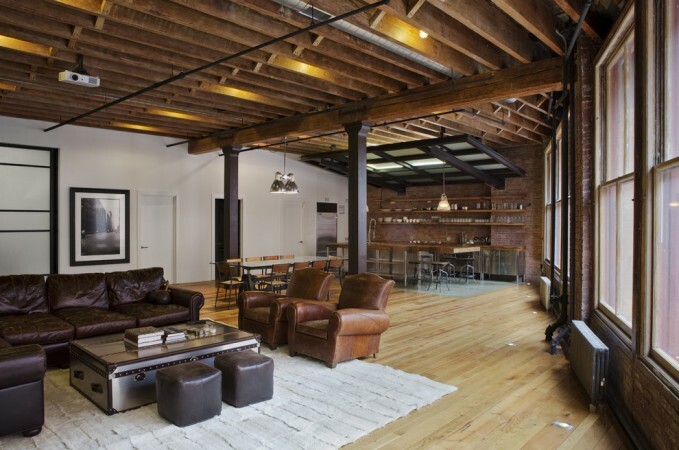 Modern black leather is sleek and classic brown leather Chesterfield seating is the epitome of masculine style. Each are comfortable, durable and rich in character. 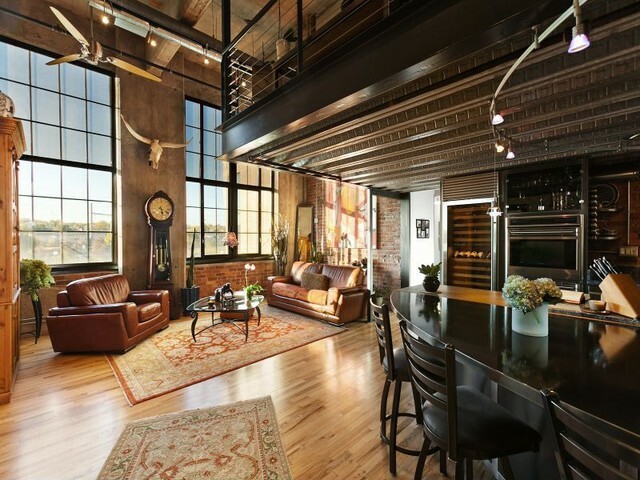 The open space of industrial lofts offers the optimum amount of area for entertaining. 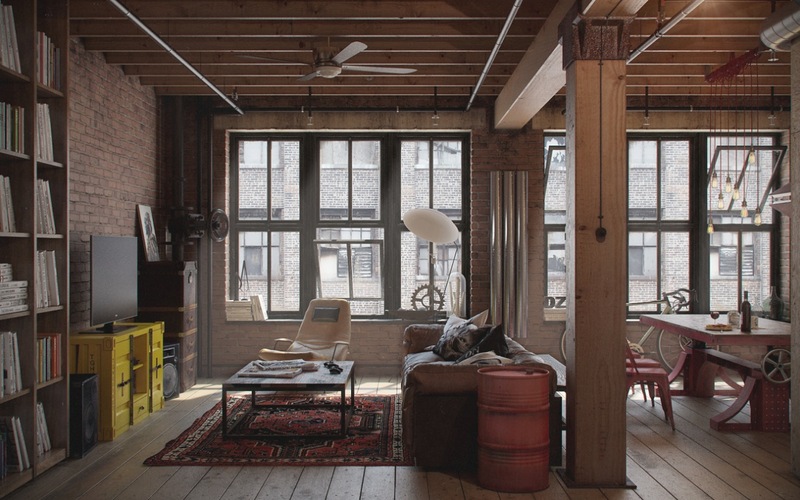 High ceilings open up the space vertically while large windows let in plenty of natural light. 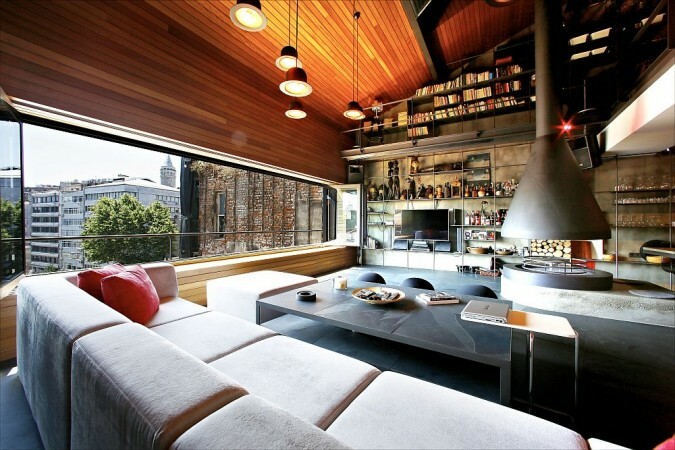 Kitchens, dining and living rooms merge into one another seamlessly to allow for guests to move about freely. This kitchen is the perfect blend of function and industrial style. This bedroom is a well-organized space that exemplifies masculine industrial style with its uncomplicated storage and bedding. 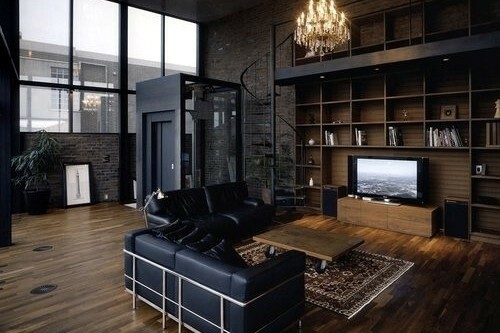 A space that a man calls home should be equipped with the items he considers important or that he simply enjoys. 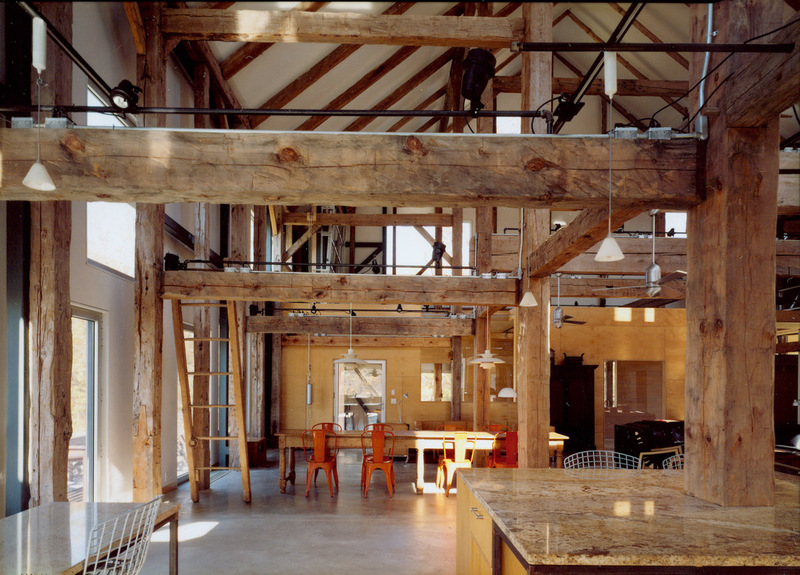 Having raised ceilings and exposed structures allows space for storing off-season sporting equipment. 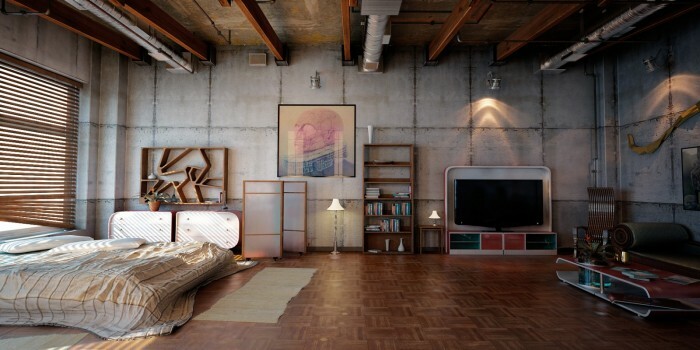 Floor-to-ceiling steel bookcases bolted to concrete or brick walls can display a book collection or unique finds from travel. 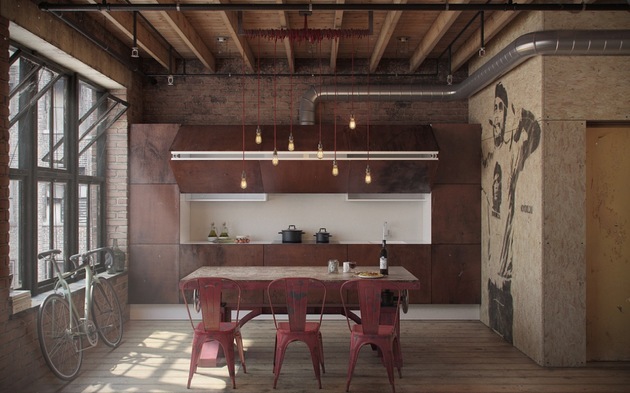 Industrial style is rugged and urban chic. It appeals to those with a taste for deconstruction, allowing for the generally hidden elements of architecture to become the focus. 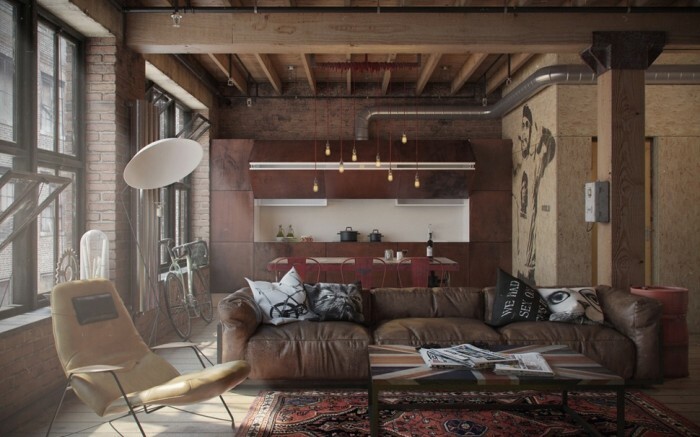 Add to that leather furnishings and vintage pieces for an aesthetic that speaks of masculine industrial style. 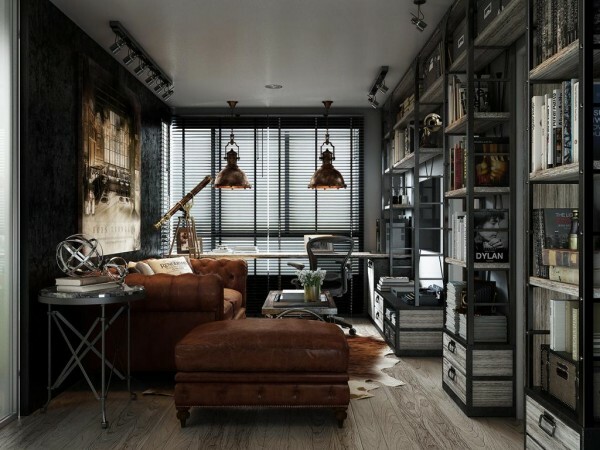 The masculine space for the modern man is about function, structure and comfort. It puts the muscle into interior design.